There is a fundamental, yet little acknowledged ideological divide at the heart of Brazil’s new government headed by far-right President Jair Bolsonaro. It’s not that the sitting Social Liberal Party (PSL), despite its platform of traditional values, is led by a man who tweets videos of “golden showers.” Nor is it that a government elected on an anti-corruption ticket is already mired in corruption scandals. In Brazil, in 2019, these inconsistencies amount to little more than run-of-the-mill hypocrisy. Instead, the core contradiction in Jair Bolsonaro’s government concerns who has the legitimate right to kill. 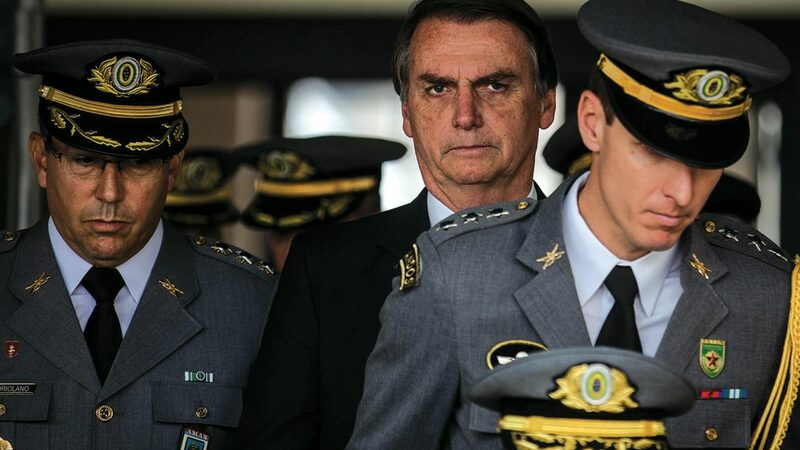 Besides religious conservatives, alt-right oddballs, and his “super ministers” Paulo Guedes (Economy) and Sérgio Moro (Justice), the final and most powerful bloc within Jair Bolsonaro’s government is made up of members of Brazil’s Armed Forces. There are dozens of former or serving military personnel in strategic positions in the government, including Vice President Hamilton Mourão and six cabinet ministers. Little more than three decades after the return of democracy, this has raised fears that under Jair Bolsonaro’s presidency, Brazil may be backsliding into authoritarian rule. In last October’s election, Mr. Bolsonaro succeeded in converting the angry popular mood in the country into a democratic mandate in a way the military could not have achieved on its own. Meanwhile, his commitment to respecting democratic institutions is highly questionable. During his 28 years as a congressman, the former army captain made a name for himself by openly praising the military dictatorship. Senior military figures also appeared to threaten democracy. In a tweet last April, then-Army Commander General Villas Bôas seemed to imply that the army would not tolerate a victory by former President Lula in the upcoming election, while soon-to-be vice president General Hamilton Mourão openly pontificated over the need for Mr. Bolsonaro’s government, once elected, to carry out a “self-coup.” For many, Mr. Bolsonaro began to look like a dictator-in-waiting, with the full backing of the armed forces. However, this narrative ignores critical differences between the president and the military. 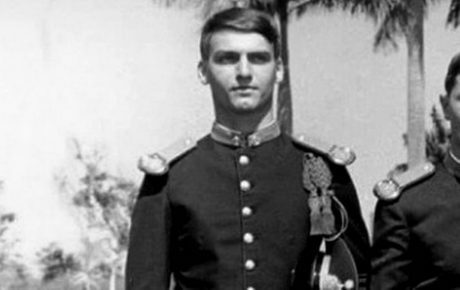 For one thing, Jair Bolsonaro hardly distinguished himself during his military service and left the Army at the age of just 33 to launch his political career. In his regular campaign visits to barracks and bases, he participated in group press-ups (or attempted to, at least), a ritual regularly reproduced by his supporters at rallies. But these attempts by the gaunt Mr. Bolsonaro carried an air of desperation, one of a civilian wannabe who is attached to the Army’s mythology and traditions, but was never cut out for a military career. Mr. Bolsonaro’s indiscipline is not the ultimate source of his differences with the Armed Forces; instead, it is symptomatic of a deeper, ideological rift. Mr. Bolsonaro not only justifies the state violence committed in the past by Brazil’s military regime—and today by the police—he also advocates the use of extra-judicial violence by ordinary citizens and vigilantes on the margins of the state. One of the president’s central causes is the liberalization of gun ownership because “upstanding citizens” should be able to defend themselves from criminals. Mr. Bolsonaro doesn’t seem bothered that this would massively increase the number of untrained civilians in possession of firearms and further undermine Brazil’s already tenuous security situation. 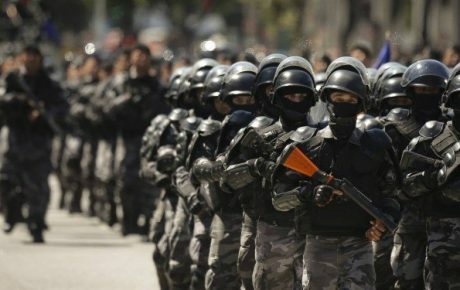 Long before becoming president, Mr. Bolsonaro has argued for reducing the constraints for police being able to kill on the job. Sérgio Moro’s recent anti-crime bill now proposes to reduce sentences for police who were in a state of “excusable fear, surprise or violent emotion” when they pulled the trigger. At face value, this appears more consistent with strengthening the state’s capacity to impose order, by giving more powers and protection to its frontline security agents. There is one major problem with this, however: in an institution as rife with corruption as Brazil’s police, giving officers the de facto right to kill may do little to reinforce state sovereignty, as police are often acting on their own behalves rather than on that of the state. Individual officers profit by taxing the criminal activities they are supposed to be preventing, especially in poor urban neighborhoods where police violence is rampant. This may only apply to a minority of officers but is fundamental to the way organized crime operates: wherever there are criminal markets, state agents are turning a blind eye in exchange for their cut. Therefore, giving police impunity to kill does not strengthen the rule of law, but rather the ability of corrupt officers to act outside it. If shooting a low-level drug dealer (or, indeed, any black teenager) in the back will not even trigger an internal investigation, what is to prevent corrupt officers using greater violence when claiming their profits from illegal markets? 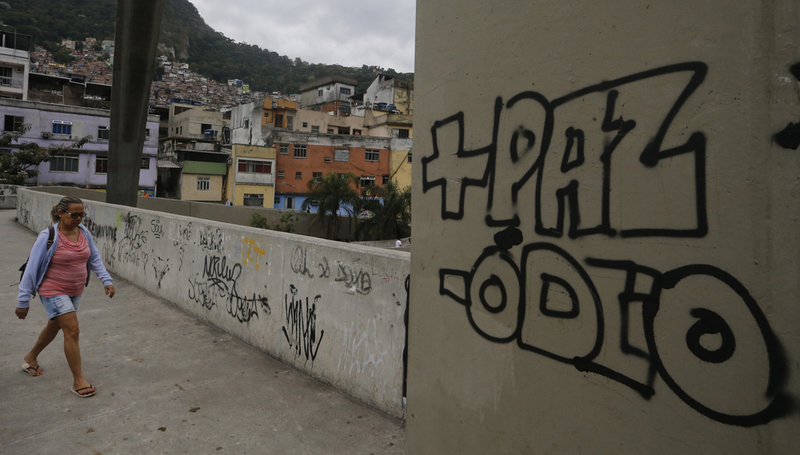 Police corruption and criminality are structural challenges in Brazil. While advocates of increased police powers may be fully aware of this, they believe that, on balance, these measures will strengthen the state’s monopoly on violence. However, Jair Bolsonaro goes much further than this. He has in the past also defended urban militias—groups of off-duty and former police, firefighters and private security guards who regularly commit murder, extortion and various other crimes on the fringes of big cities. Recent revelations suggest that Mr. Bolsonaro not only justifies the existence of such groups but also has personal links to militiamen. This affinity with militias reveals something about the Manichean worldview that underpins Jair Bolsonaro’s politics. He views society as being under siege from “bandidos”—criminals, but usually connoting young black men from poor backgrounds—and its ability to fight back as being undermined by human rights activists who “defend” these criminals. In this Hobbesian war, righteous armed men are made the defenders of moral order and thus legitimate auxiliaries of the state. To qualify as one of these “upstanding citizens,” all one needs to do it share Mr. Bolsonaro’s hatred of bandidos and leftists. The president believes that this revanchist justice must be pursued even at the cost of chaos, illegality and innocent victims. Military ideology is somewhat different. Individually, many may share Mr. Bolsonaro’s social prejudices and desire to remove constraints to combat security threats. Brazil’s military is a large and internally diverse institution, and any generalizations should be made with great caution. However, at a corporate level, it is clear that the military sees itself as defending order in the country, and that they would prioritize social stability over any attempt to impose a contested moral order at the risk of provoking unrest. 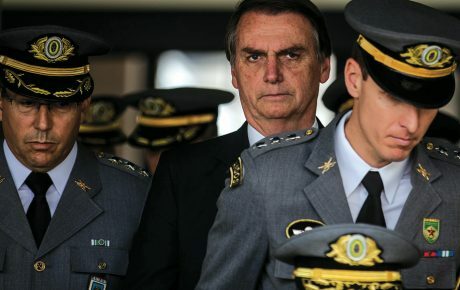 Military doctrine means preserving order through the maintenance of internal discipline and chain of command, areas in which Jair Bolsonaro has consistently shown himself to be an abject failure. 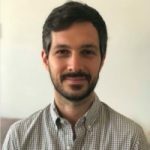 It also requires that they maintain an external appearance of being above the fray, as a neutral authority rather than just another faction in Brazil’s political and social conflicts. As other institutions hemorrhage public trust, it is hard to see why the military would risk its positive reputation by becoming overly associated with the president’s hyper-partisan agenda. As is common in contexts of war, state forces often allow disorganized paramilitaries to operate in areas and ways that further their ends, provided they can claim plausible deniability of such relationships and do not risk permanently sacrificing their monopoly of legitimate violence to these groups. Furthermore, the military members of Jair Bolsonaro’s government know they have only gained political influence thanks to him and that they must work with him to retain it. Both need each other, but they have different goals in mind. This fundamental tension running through Bolsonaro’s coalition may determine much throughout his presidency, including how it eventually ends. 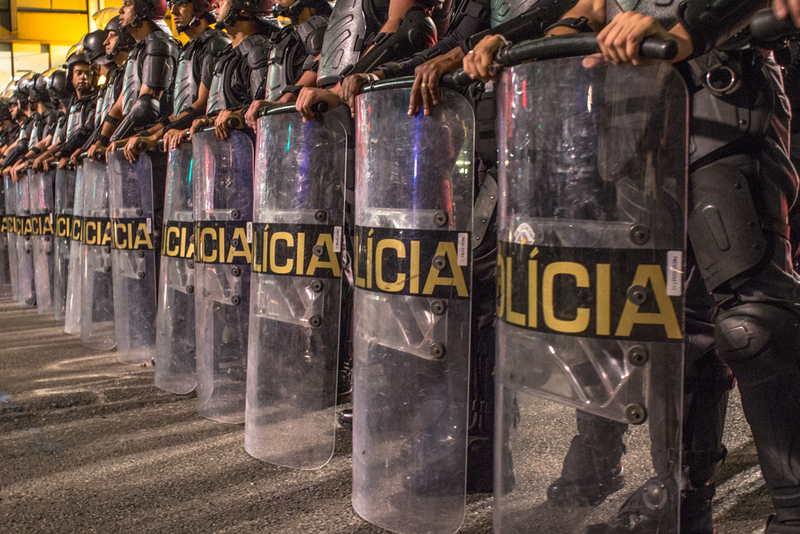 Nothing less is at stake than whom, in Brazil, has legitimacy for taking life.